In the northernmost part of the United Kingdom lies one of the most outstanding and prestigious land in all of Europe and even the world ? the Scotland. It is undeniably rich in history and its iconic and cultural environment is oozing with elegance and sophistication, which will surely tempt just about anyone that it?s the perfect place for a vacation or even just a short trip. While in the city, you could also get yourself some waging action to partner up the already satisfying experience you?re having. 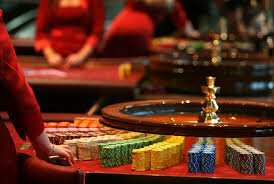 This idea is truly brilliant for those wagers out there and fortunately, UK Information Centre has prepared some brief information about few of the most outstanding Scotland Casinos that are worth the visit. UK Information Centre was definitely amazed with the welcoming behavior of Scotland to waging. This can be seen on the abundant amount of Scotland Casinos which ticks at about 11 establishments. These 11 establishments are scattered throughout 4 cities of Scotland with hundreds and hundreds of slots, table games and even renowned poker table games from popular variants like Omaha, Texas Hold?em and a whole lot more. If you prefer to play and win on the go, then we also recommend viewing our top UK online casinos . Each of these is licensed and regulated for safe and fair games. If you are looking for the establishment in Scotland with the highest amount of options for your waging needs, then go to Glasgow and experience the service and offers served by the one and only Alea Casino Glasgow. It's considered to be the most satisfying casino in the state which boasts table games of about 21 in amount and over 60 machines all for playing. It is also easy to reach and contact them when needed, completing their overall performance whilst making sure that their customers are rendered with nothing short of the best service. You?ll also be more than satisfied to give the Grosvernor Casino a try. Though it considerably lacks in table games than Alea since it only has 12 different table games, it doesn?t stray too far from the establishment when it comes to gaming machines as they also have 60 machines for their players to play with. Though the two have plenty of games already with Alea Glasgow considered to be the biggest you can find on the country, you?ll also be more astounded with the Grosvenor Merchant City Glasgow establishment as it takes pride in its casino floor that?s largest out of the three. Whether you?re up for a trip around the rich, cultural environment of the country or for a sleek and phenomenal waging time with Scotland Casinos, there?s no doubt that you?ll have fun at your stay on this stellar land.